Thought I could spiff up the first post with a lovely commission. I’ve been keeping this little bit of fun a secret for a little bit, but under impulse I simply ‘ran’ with the idea. SO here it goes. A fish out of water tale. A young isolated MC without a ‘voice’ grows up in a lab poked prodded and tested for eighteen years finds themselves thrown into the chaotic world of powers and abilities beyond human kine. They will have an adventure that will define who they are and make an impact in a world they never knew existed. Will they be a hero, a celebrity, a terror, a freedom fighter, or a corporate weapon. Regardless of who you want to be your actions will speak for you. To sum it up it is a very ‘different’ angle on the comic-book hero type story. This in particular is how someone who’s never even heard of heroes or superpowers reacts to them. The world itself is a bit more capitalist in nature. Hero’s having to make ends meet as much as anyone else in the world, its become a job and entertainment. -Freaks- slang for those having been born with abilities, referred to as Darwins Syndrome. -Swigs- slang for those having the right set of genetics pay or accept a job to have Darwins Syndrome induced artificially. -Swigs: the term originates as a slang for taking a ‘drink’ in reference to their powers figuratively coming out of a bottle. -only 40% of the population has the potential of being Swig only 10% can afford the induction procedure and only 5%(freaks) are born with these abilities. -The MC is a very potent Freak. -Freaks and Swigs often have jobs in entertainment, military, paramilitary, law enforcement. -Be a celebrity, pose for the crowd and magazines! -an economy has been built around these individuals world wide, replacing a great deal of jobs in their respective fields especially reality TV and sports. -The MC gets to experience all of this in the whirlwind that becomes their life. -there are more ‘Swigs’ than Freaks, and natural born powers are stigmatized because of Corporations painting them as radicals and uncontrolled because they operate outside the current contract system for most Swigs. I keep most of the details in the dark for the start for effect but this is more ‘fun’ based. Also contains mature themes, violence, and language. EDIT: Making revisions to smooth the narrative, and draw you all in! PS: Enjoy the story? Please don’t hesitate to let me know! Knowing what works and that you’re reading really does fuel my writing!! Well this was a pleasant surprise. I always like “superhero” type games. And I think you did a pretty good job with this. It was easy to make the character feel my own. So basically, consider me both a fan and excited to see what happens next. Edit: Would like to see a stoic type personality, though. I always love stoic characters. I hope this game has really dark scenes, like Detailed deaths and abuse, while mixing in a fun like feeling! Also, I really like it, I hope this gets finnished! You have an interesting way of writing with quite original ideas. You got me hooked up. Consider me a fan of both your games! I haven’t had the time to play it yet, though I will soon! The last part you caugh was ‘all these freaks are the same’. What freaks? You hadn’t seen anything that fit a splinter lodged deep and you felt it fester with other troubling thoughts. You’d have to ask Dr. Cormel. That’s it! Just remember to bring the white board to your check up. These check ups were irritating and cut into some of your favourite books, you never could put them down especially when the characters were. Cool boys, just like you. Smart Girls, just like you. Caugh should be caught, and the last sentence would flow better if you added a but after the comma and a dash after down. Also, the g in girls shouldn’t be capitalized. I blame a writing binge and excitedness. Just couldn’t wait to share my Lil Frakenstine with y’all. Incidentally haven’t run any logistics yet… impulse over took practicality. Will deal with the corrections on the next sit down. I think this might be better than imaginary friend so far. 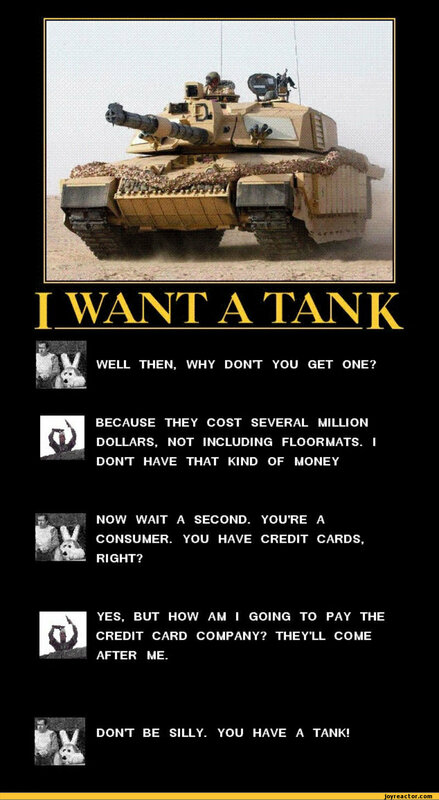 When do we receive the tanks? Felt you could relate with the characters better in your fantasy when they were just like you though sometimes a little escape was nice. You were only ten, too young to really invest in the decision but from what you’ve read not all men and women fell into the roles they were born with. Should be a you in front of felt, dash after you and in front of though, semicolon after decision, comma after read, and roles should be labels. Also, the sentence sounds better if you put an emphasis on all. Don’t tell me it doesn’t, @LordOfLA . Movement Style: how you get around, and were not talking about walking. Agility: how well you leap roll land and general reaction time and flexibility of movement. Control: the amount of dexterity and restraint you can employ prevents unecessary breakage. Were should be we’re, you need commas in the agility description, and you’re missing an n in unnecessary. I love it, i love it, i loooove it !! Besides I was eager to get into the action with this one while the other is a bit of a slow burn. More action up front less waiting and a psychotic mercenary glass man with a cockney accent. Who knew that’d be such a fun character. Due to the hot response so quickly I might have to do a bit more work while the ideas are fresh. I’m a dark writer by preference it wont be rainbows and lolipops I can promise that much. it’s not everyday you get to be broken out from inside a plane in the air filled with guards after being a super lab rat for more than 10 years by an unknown non-gender specific creature who died (assumingly) before you get to know for sure… in a world where your own supportive researcher is named normally as with other researchers, and everyone else apparently had their name written by a Swedish 12 year old (that’s a complement… as in… very original because it’s quite imaginative) and you’re also playing as superman apparently… minus the laser eyes… or not… who knows? hell, I’d love to see more of this! EDIT: Oh yeah! and you’re also a mute… so… you’re basically a Mute Lab-grown Superman… did I miss anything?